Discover How Investing in Exchange-Traded Funds Can Help You Build a Winning Financial Portfolio"Archie Richards delivers the nuts and bolts of ETFs---and much more that the investor needs to know." 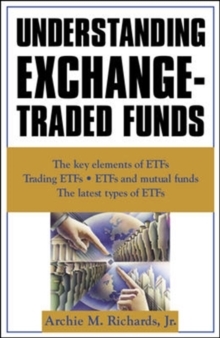 Gary L.
Gastineau, early developer of exchange-traded funds, Managing Director of ETF Consultants, LLC "ETFs are not a form of extraterrestrial, but they do remain a mystery to many. We should be grateful to Archie Richards for explaining everything about them and also offering mush useful advice. This is a timely and terrific book on one of today's hottest investment topics." Hunter Lewis, Co-founder, Cambridge Associates, LLC "Understanding exchange-Traded Funds is a no-nonsense approach to setting financial priorities, and a crash course on the basics of investing. Archie's description of various investments gives the information you need to become a wise investor." Steve and Annette Economides, Authors of America's Cheapest Family Gets You Right on the Money "Archie Richards is the go-to guru for ETFs, and Understanding Exchange-Traded Funds simply cements that reputation. If you're dipping your toe into the ETF waters for the first time, now you can jump right in instead. Understanding Exchange-Traded Funds is the investment life preserver you've been waiting for, and Archie Richards is the guy you want guiding you through the strokes." Angele McQuade, author of Investment Clubs for Dummies and book reviewer for Better Investing magazine Turn to Understanding Exchange-Traded Funds for a quick, accessible overview of ETFs_the hottest and most significant investment tool of recent years.